This highly curated sale of American Art presents original works in a variety of media, including drawings, watercolors and sculpture. 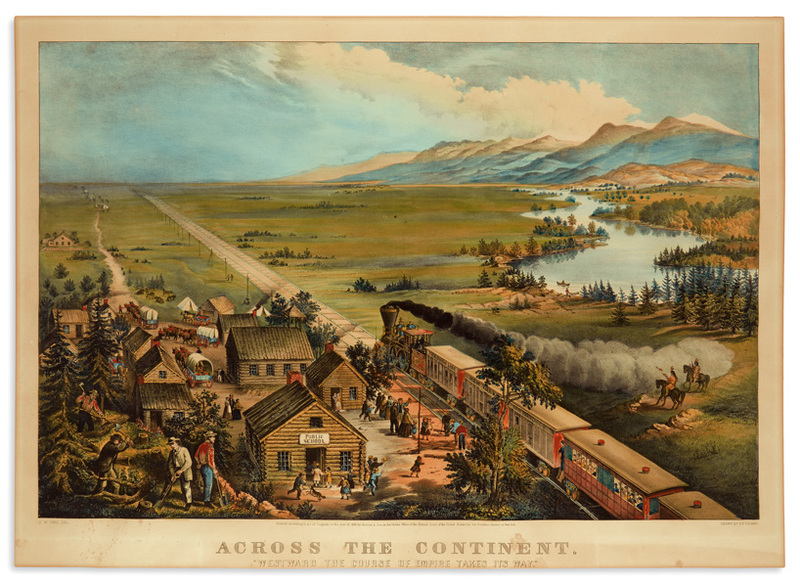 Offerings range from nineteenth-century paintings to modern masterworks, featuring drawings and watercolors by Reginald Marsh, as well as oils by William Glackens and Guy C. Wiggins. 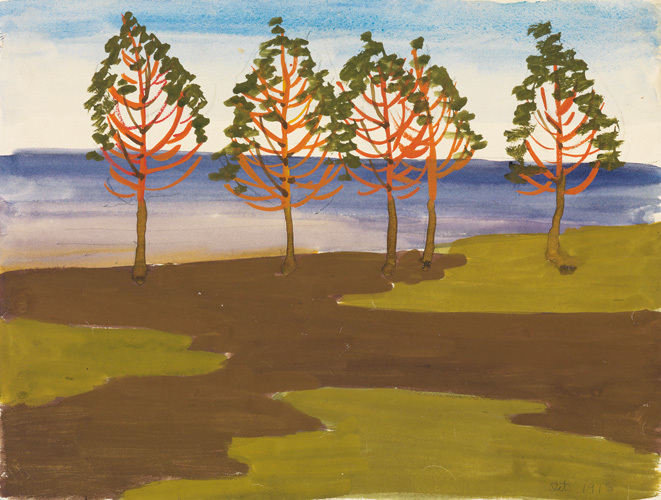 Lot 82: Charles Burchfield, Red Trees Against the Lake, watercolor & gouache, 1915. Estimate $10,000 to $15,000. 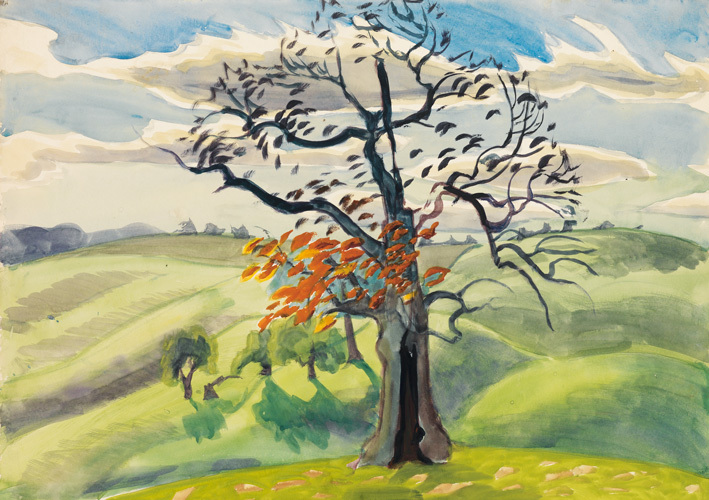 Lot 81: Burchfield, Tree in Landscape, watercolor & gouache, circa 1950. Estimate $10,000 to $15,000. 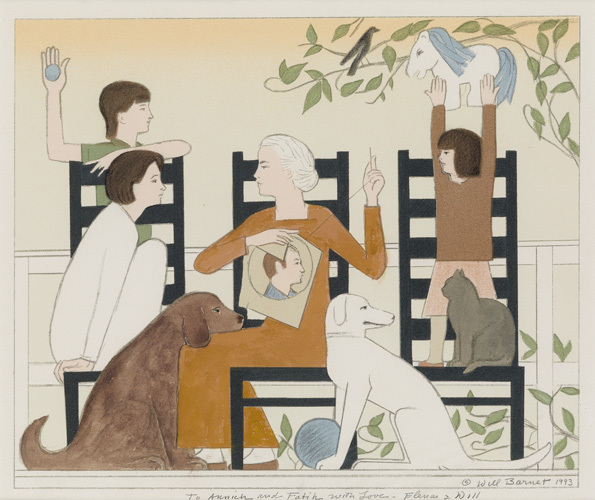 Lot 189: Will Barnet, Study for Three Chairs, screenprint with hand coloring, 1993. Estimate $2,000 to $3,000. 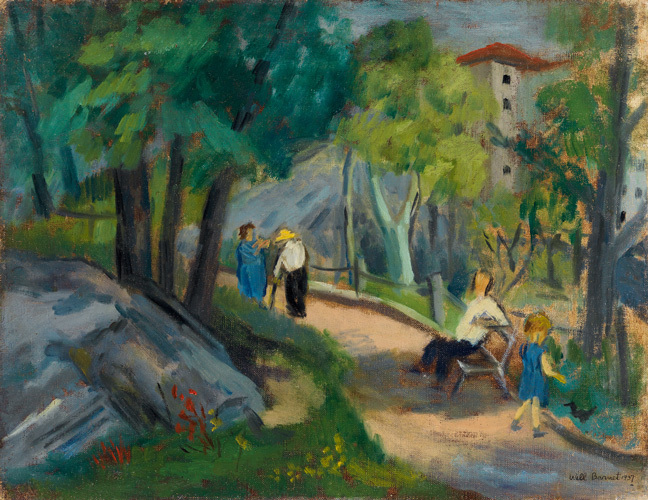 Lot 104: Will Barnet, Park Scene, oil on canvas, 1937. Estimate $7,000 to $10,000. 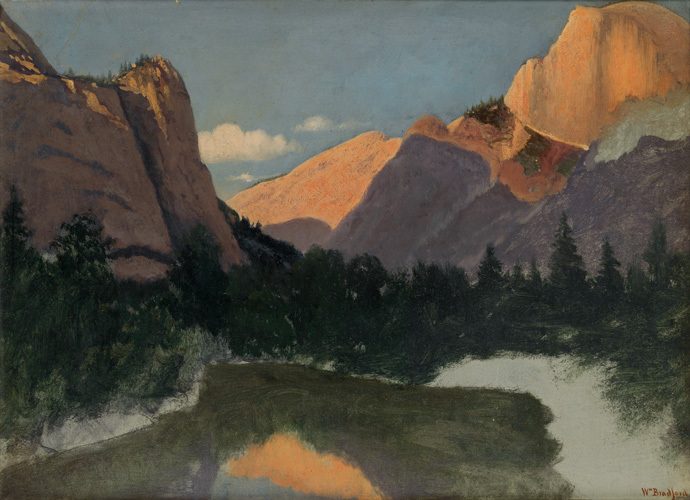 Lot 19: William Bradford, Inspiration Point, Yosemite, oil on board, 1879. Estimate $15,000 to $20,000. Lot 9: J.G. 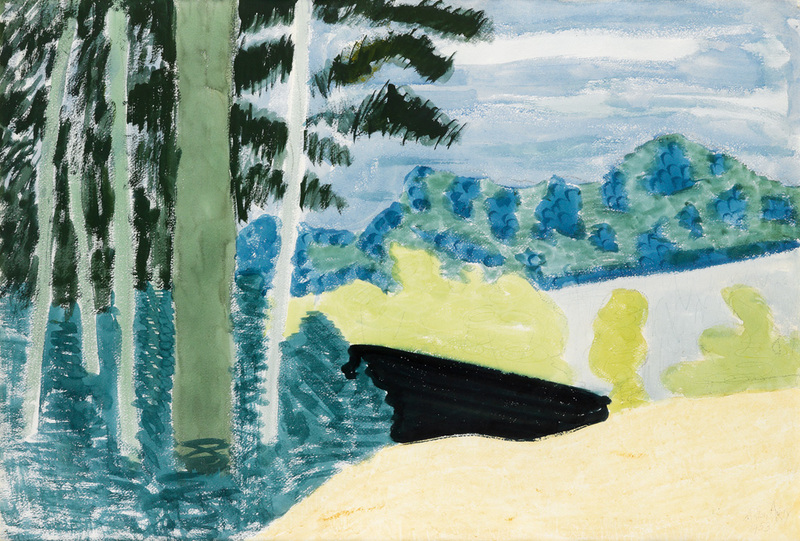 Hulett, Hudson River Landscape, oil on canvas. Estimate $3,000 to $5,000. 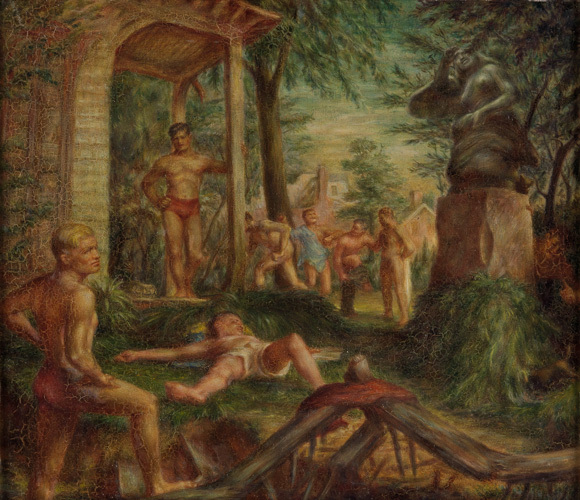 Lot 269: Jared French, Men in a Garden, oil on panel, circa 1934-35. Estimate $20,000 to $30,000. 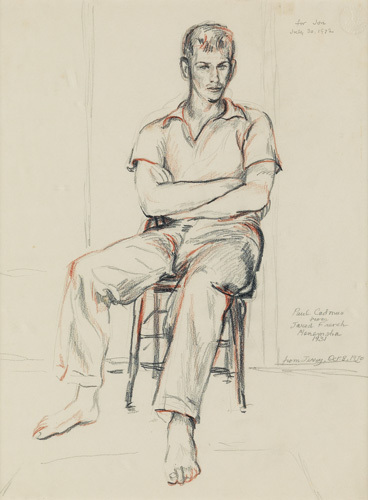 Lot 252: Jared French, Portrait of Paul Cadmus, seated with arms crossed, pencil & crayon, 1931. Estimate $7,000 to $10,000. 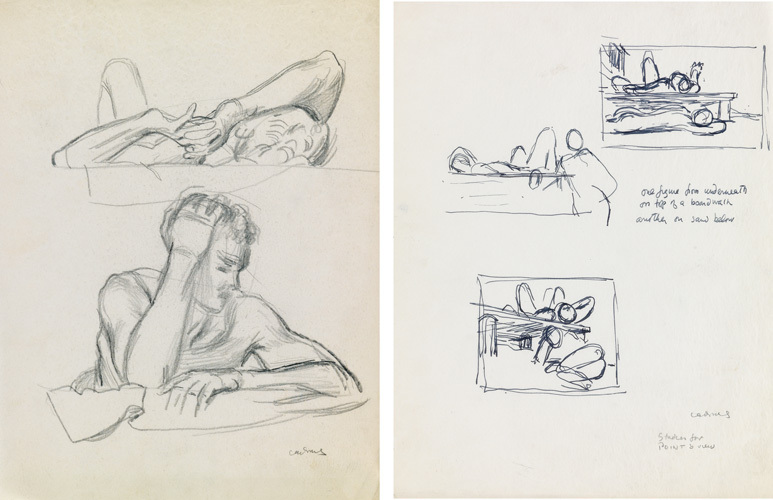 Paul Cadmus, Studies for Point O’ View, group of 13 ink, pen & pencil drawings, circa 1944. Estimate $15,000 to $20,000. 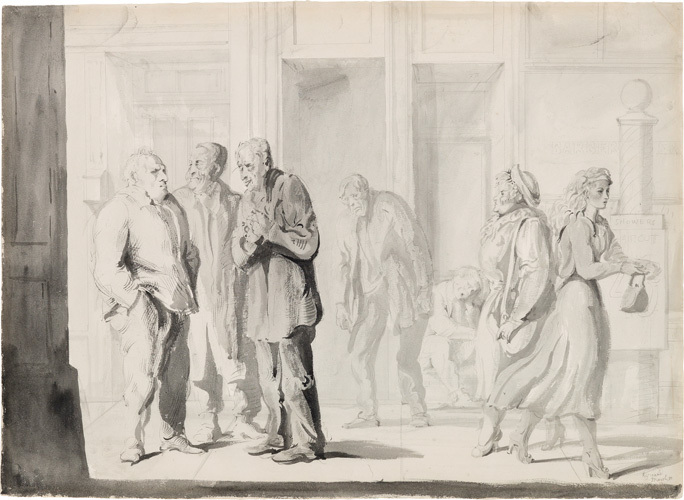 Lo 114: Reginald Marsh, Third Avenue, ink & wash, 1950. Estimate $6,000 to $9,000. 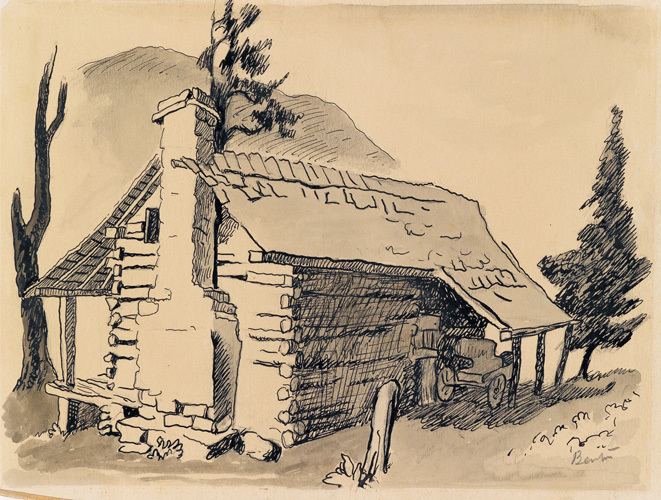 Lot 134: Thomas Hart Benton, Cabin in the Ozarks, brush & ink, circa 1926. Estimate $7,000 to $10,000. 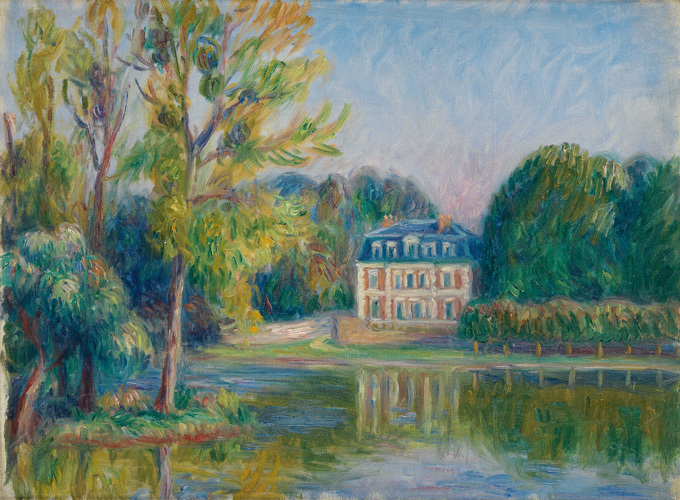 Lot 36: William Glackens, Le Royal Conti–Isle Adam, oil on canvas, circa 1925. Estimate $12,000 to $18,000. 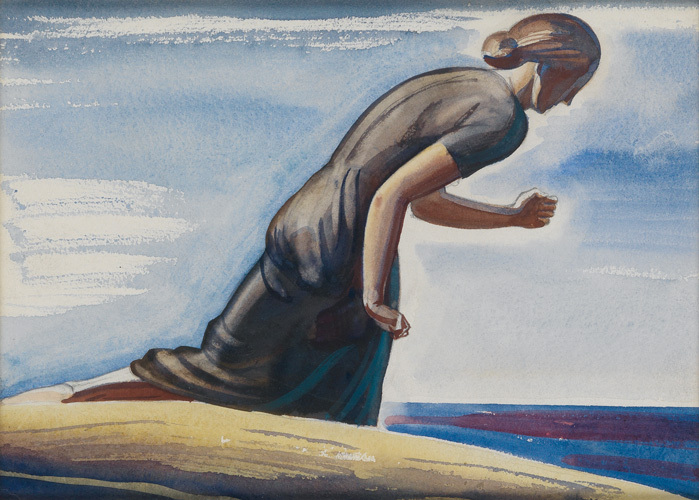 Lot 86: Rockwell Kent, Walking Woman, watercolor & gouache, circa 1926. Estimate $6,000 to $9,000. 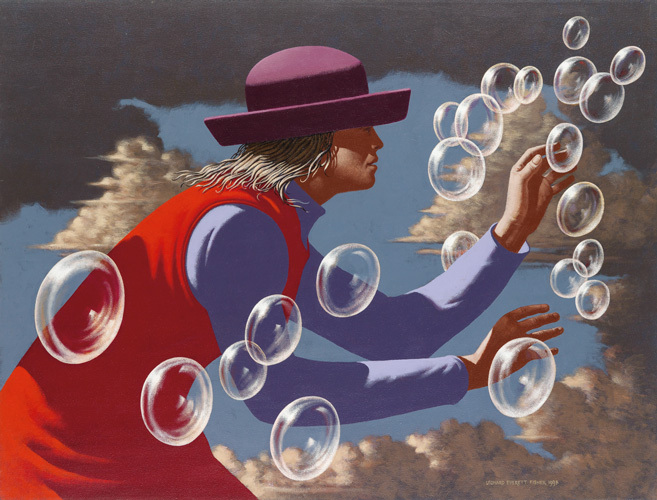 Lot 227: Leonard E. Fisher, Bubbles, acrylic on canvas, 1998. Estimate $7,000 to $10,000. 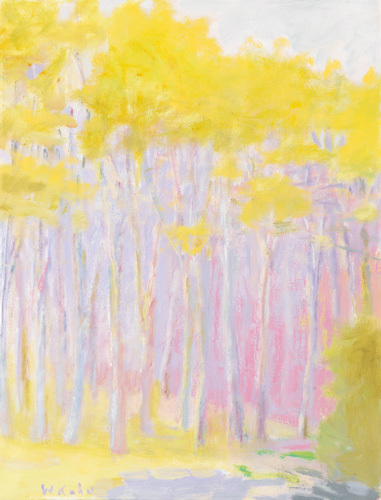 Lot 202: Wolf Kahn, Poisonous Yellow-Green, oil on canvas, 2001. 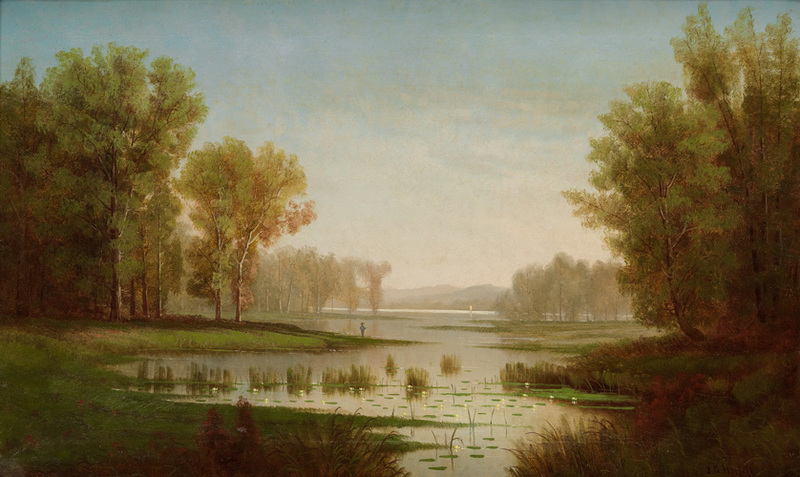 For more information on the sale, contact a specialist in the American Art department.